From inviting a law professor to help Arizona readers understand recent legislation to asking some top notch designers to review New York’s new ballot, DocumentCloud users have already found some great ways to bring experts from outside the newsroom in, and we thought it was time to make it much easier to do just that. We spent some time at ONA last year, brainstorming with the good folks from the Public Insight Network — they really helped us distill this into a workable feature. We’re looking forward to seeing PIN newsrooms do some great reporting aided by this new feature. DocumentCloud users can now invite individuals to review and annotate otherwise private documents: all you’ll need is an email address for each reviewer. We know plenty of users have been asking for true crowd sourcing — opening a document up for the public to annotate — and this isn’t it. But we hope it will be a great tool for reporters who need a way to bring in authoritative local commentators to help make sense of current events. Reporters can still share projects to collaborate with other DocumentCloud users or make individual documents accessible to the rest of their newsroom — we’ve just added another way to share documents. Invite as many reviewers to as many documents as you see fit and revoke access at any time (find the “revoke” button under the edit pencil). 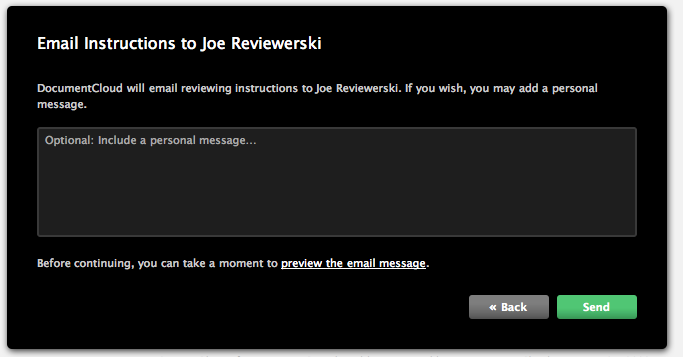 Then we’ll email each reviewer directions for accessing the documents you’ve shared, with custom instructions from you if you opt to provide some. DocumentCloud will send each reviewer a unique URL they can use to access each document shared with them. At that URL, a reviewer will find a document viewer where they can add notes of their own and review other public annotations already made to the document. Unlike other DocumentCloud users you might collaborate on a document with, reviewers are only able to edit their own annotations — they won’t be able to modify each other’s work. Reviwers don’t have access to the DocumentCloud workspace — they can’t upload additional documents, edit the title or description, modify or publish documents. What they can do is create new notes and read over existing annotations. 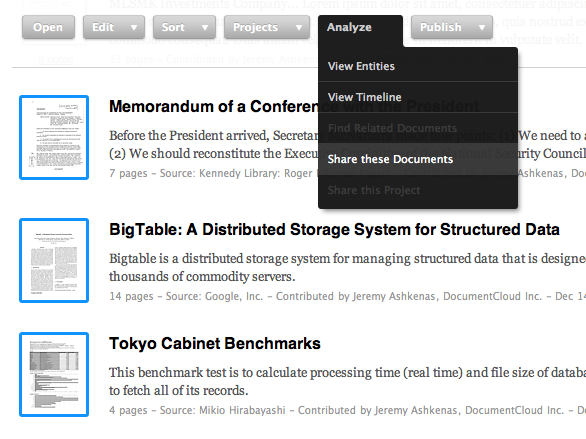 Rolled into this new tool set is a feature you might want to use even if you aren’t planning to share documents with local experts: draft annotations! We’ve gotten lots of requests from folks who want a way to make public annotations private and private annotations public. We think private annotations are important and don’t want to run the risk of publishing notes that you meant to keep to yourself. We do recognize, especially as you start to work with notes provided by multiple users, that users do need a way to keep annotations out of the public eye without deleting them outright. The solution: draft notes. Drafts are visible to other reviewers and the document owner, but won’t be made public when a document is published. Draft annotations will be noted with a red indicator. If you encounter any issues or notice anything going wrong, please don’t hesitate to contact support@documentcloud.org and let us know. And remember: our best features come from users telling us what they need from DocumentCloud, so don’t be shy!